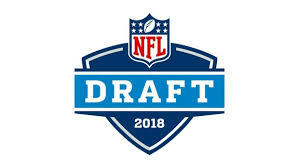 To be completely honest here, the first overall pick is a toss up between QB Sam Darnold or Josh Allen. However, due to their seemingly superior interest, the Browns will take Sam Darnold. Sam Darnold is a big guy who is very reminiscent of Ben Roethlisburger and has massive potential to be a star Quarterback. While he may not the most NFL ready Quarterback, the Browns are in no rush to start him after their signing of former Buffalo Bills QB Tyrod Taylor. Therefore, I believe the Cleveland Browns will draft Darnold to be their franchise Quarterback, something this franchise has always lacked. Drafting Bradley Chubb would be perfect after the New York Giants lost pro-bowl Defensive End Jason Pierre-Paul. In addition to this, it would look bad for the Giants to draft a QB after the whole bench Eli Manning fiasco last year. Bradley Chubb is an electric playmaker who is extremely physical and dominates opposing tackles. His ability to change games and draw double teams from offensive linemen will help strengthen a very weak Giants defense heading into 2018-2019 football season. The New York Jets have been eyeing QB Josh Rosen for a while now and are seemingly set on him. According to several scouts at his NFL pro day, Rosen appears to be the most NFL ready QB and the Jets are reportedly set on him. The West Coast offensive Rosen ran at UCLA is very similar to the offenses that NFL teams utilize today and the Jets hope he can come in to start and contribute right away. Saquon Barkley is arguably the most talented player in the draft. Even though the Browns signed former 49ers RB Carlos Hyde, Saquon Barkley is too talented to pass up on. Drafting Saquon Barkley would virtually complete the Browns’ new offense, as he would accompany new brought in players such as WR Jarvis Landry and rookie QB Sam Darnold. Saquon Barkley has the ability to change games in a second and this is what the Browns hope he will do. The Buffalo Bills need a Quarterback. Badly. This is while they will trade up to draft QB Josh Allen. The Bills just lost their starting QB in Tyrod Taylor and need a replacement badly. Josh Allen has the strongest arm out of all the QB’s but lacks the poise in the pocket that Darnold and Rosen have according to multiple scouts. The Bills need Allen to come in and produce immediately, as their offense is expected to downgrade significantly this season. The Colts o-line needs some major work and Quentin Nelson will help it immensely. Nelson is a tough-minded offensive guard who is very physical and runs over his opponents when he pulls. His gameplay and mindset is very similar to pro-bowl OG Richie Incognito and Nelson is just the player the Colts need after a horrible year for the offensive line, which generated no run game and ranked most in the league in sacks allowed.